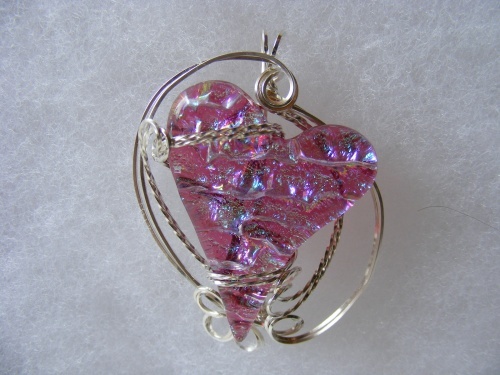 This gorgeous dichroic heart adorned with scrolls of sterling silve will make her heart palpitate!! So pretty and so unique, truly one of a kind! Piece measures 2" from top to bottom.